In late April, Bungie will release two new maps for free (Containment and Warlock), and two to purchase (Sanctuary and Turf) for $5.99! Keep in mind, these are for Xbox Live download only. If you don't have Xbox Live, you can wait until June 28 to by those four maps, plus five additional ones ( Terminal, Relic, Elongation, Gemini and Backwash) in a regular Xbox disk also containing an animated side-story from the single-player story in New Mombasa, among other things. Xbox Live subscribers can buy the remaining five maps on the same day for $11.99. 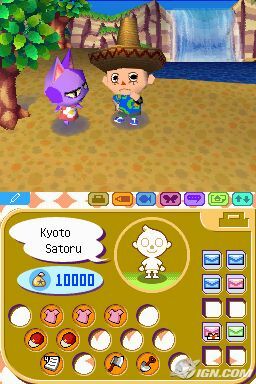 Check out new screens of the game in action: http://gc.advancedmn.com/media.php?gameid=1364 ! And yes, it's a PS2 exclusive. First info! "The Halo 2 Multiplayer Map Pack is a collection of nine multiplayer maps, as well as non-playable video content (a cinematic and a mini-documentary). Delivered on a standard Xbox DVD disc, the multiplayer content can be used by gamers on Xbox Live as well as those who play multiplayer via System Link or via Split-screen (on one Xbox). " It will be available in late April (I think)! Maybe the cinematic will be a real ending! "The game takes place in on the forested hills of a land known as Fangustan. Our new hero is Fangus, a shepherd that dutifully fends off predators and leads the beasts under his charge to popberry fields - until one day when Invaders arrive and thrust Fangus into role of savior for all nations of Oddworld. Fangus has his own personal race against time; he must thwart the Invaders' plans before the madness of rabies engulfs him." The article goes on to explain how Majesco (?) will publish the title and how it is likely to receive an "M" rating because of its darker content ( you now use real guns). Also, the game will see the return of the 3rd- 1st person action from Stranger, as well as gamespeak and destructable environments and the ability to command Fangus' flock of evil sheep things. It also said the game would be available in '06 for the Xbox. Huh? Won't the Xenon be out by then? At first, upon reading this I found it farfetched that there were so many details on a game coming out in '06. However, the article went along with a rather awesome picture that could only come from the guys at Oddworld Inhabitants. I guess we'll find out for sure at E3 if the game is real or not. Nintendo officially announced today plans to launch the DS online! 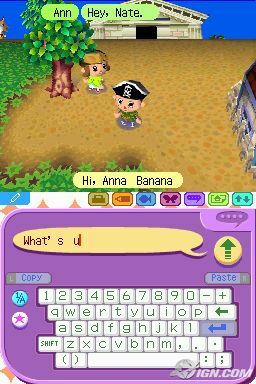 The first online game to be reviled was Animal Crossing. Mario Kart is also expected to go online. This will all happen before the end of the year! The new Legend of Zelda was at the GDC today. A new trailer and many new screens were revieled! Plus a reliese window: winter '05! Well not Sonic exactly... Shadow! Shadow The Hedgehog was announced today at the GDC. This spinoff game features Shadow as the main character, and is much darker than previous Sonic games. A new, even one featuring Shadow, game in the Sonic series had been hinted at for a long time. Expect this game on all 3 platforms in Winter of this year! There are large amounts of media for both the PSP an DS. I'm too lazy to post all the links, so if you're really interested, go to: http://ds.ign.com/ and http://psp.ign.com/ and find them yourself. A rainbow of DS colors! Coming soon are four new DS colors! Blue, Pink, Black, and White! I like Black myself. Awesome! Did I mention this is only in Japan? ESRB has added a new rating. It's E10+. This means the game is suitable for everyone ten and older. Expect a review of Wario Ware Touched!, as well as some editorials coming this week. I wish I had more to say, but there ain't nothin'!